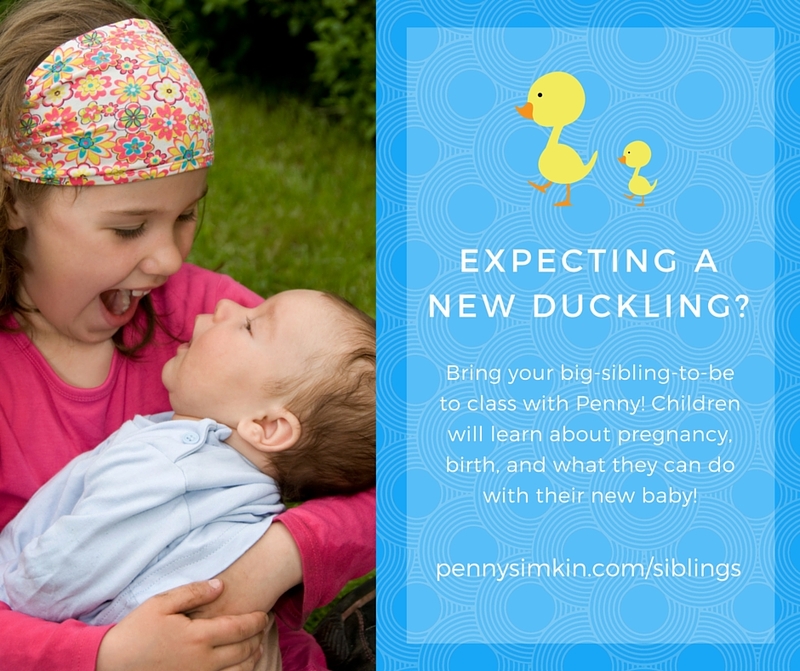 Join Penny for this one-evening preparation class for children who are about to greet a new baby into their family! Parents are included in this class which encompasses information on pregnancy, birth, and new babies presented at a young child’s learning level. This class also includes a showing of Penny’s film, “There’s a Baby” and a discussion of how to prepare children for birth and a bit about life with a new baby. Children will have the opportunity* to meet another new big sibling and their new baby, learn how to wash hands and hold a baby. Registration for these classes is handled through Parent Trust; if you need help registering, please contact the registrar – 206-789-0883. Rainier too far south? This class is now offered in Mountlake Terrace! Join Kathy Wilson at the Sprout Birth Center for this very special class! 2019 dates coming soon! Click here to register for Mountlake Terrace Classes. * Rarely the guest family with their new baby has to cancel at the last minute and we’re unable to find a new family to visit with us.